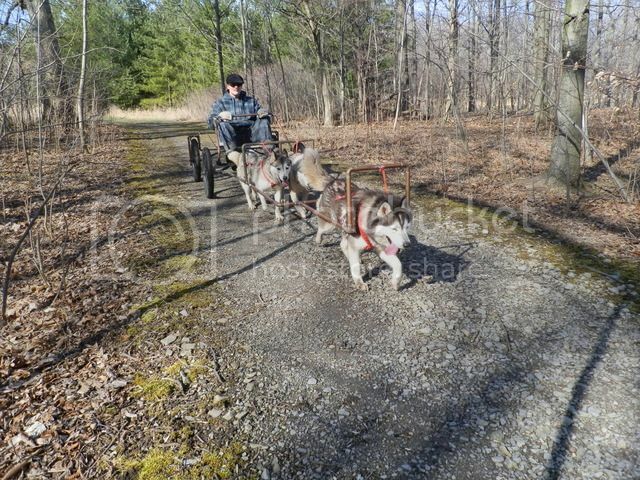 With my eldest buying his first sled dogs, there is some training to do before they will be ready for him to camp the 2017 winter with them. We were lucky and he got to run them on snow for a couple of days. 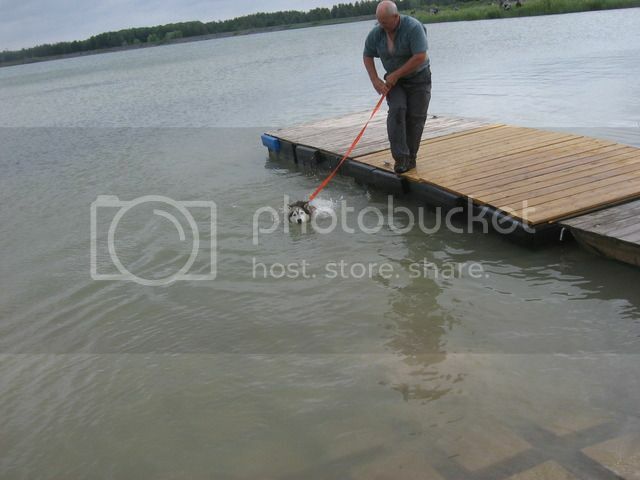 However although they can pull, they are not a trained team. 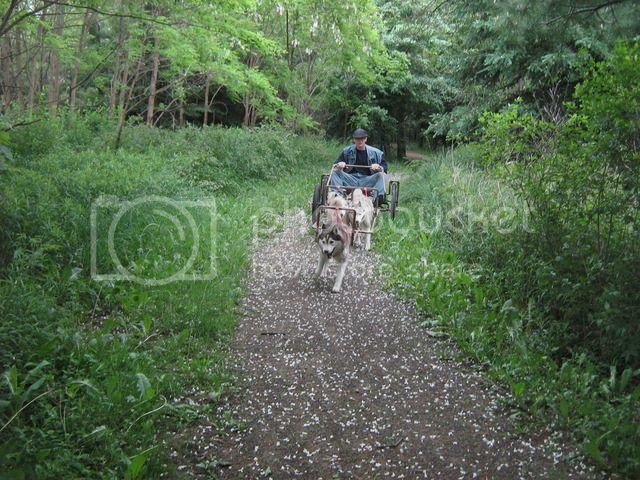 Not having trained lead dogs here to help with their training, we decided to go back to the ways of past training. We spent a couple of days building a training rig to allow command training. Today was the first time hooking the dogs up. 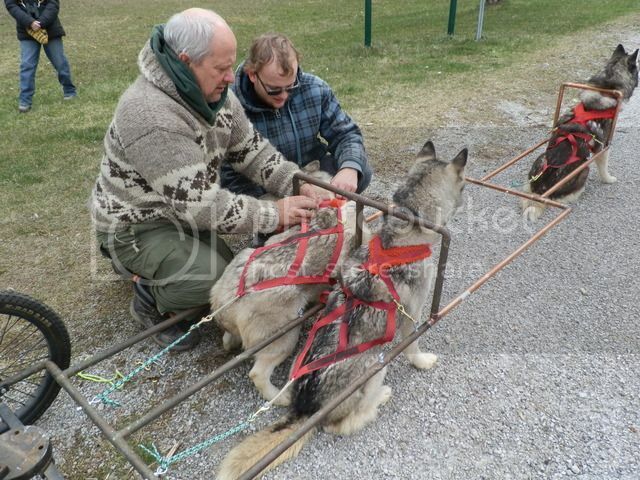 We did find a couple of modifications that we would like to make , but all in all the cart ran well, the dogs ran well, and my son had fun learning. Was a good 2 1/2 mile run and the dogs came in wanting more. Looks a little scary. I think I would want a helmet! I'm just a newbie at dog hauling so please don't take this the wrong way. 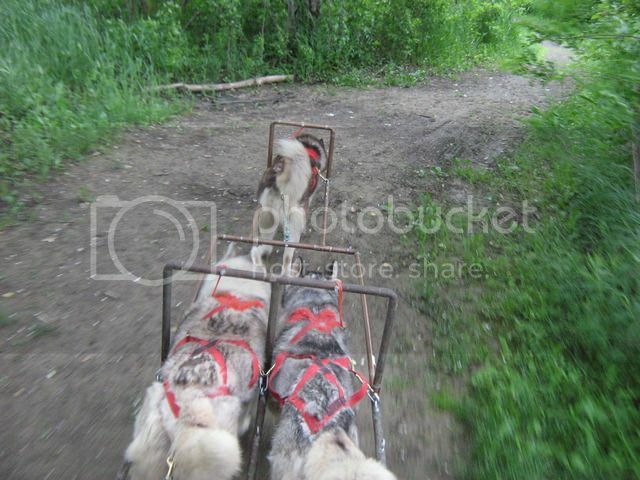 With those x-back harnesses and short ropes to the frame it really looks like there is a disproportionate load placed on the back end of the dogs. 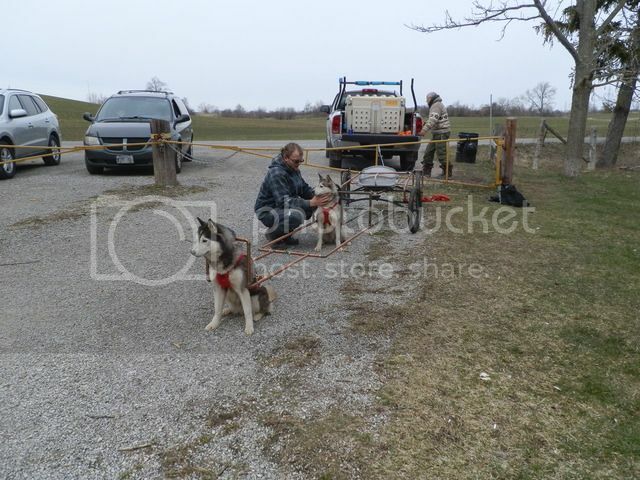 We were taught to use a freight harness to stop pressure on the hips when you have just a single line coming from the dog back to a single point. We were told that this is particularly important when the load attachment is lower than the dog's pelvis. 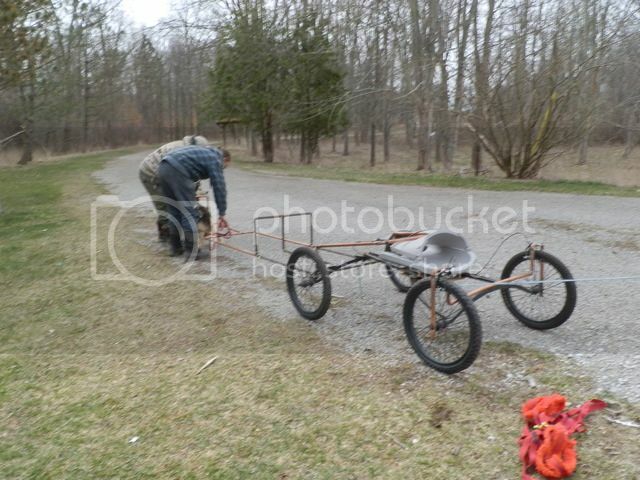 I use it with the kick sled and for hauling the toboggan. Bothwell Voyageur , I will definately take your thoughts into review. While running today I did not notice any excess down pressure but will definately look on the next hookup. With the way everything is fitted there is more of a pull from behind the shoulder point....point of draft...., as there is in a freight harness. 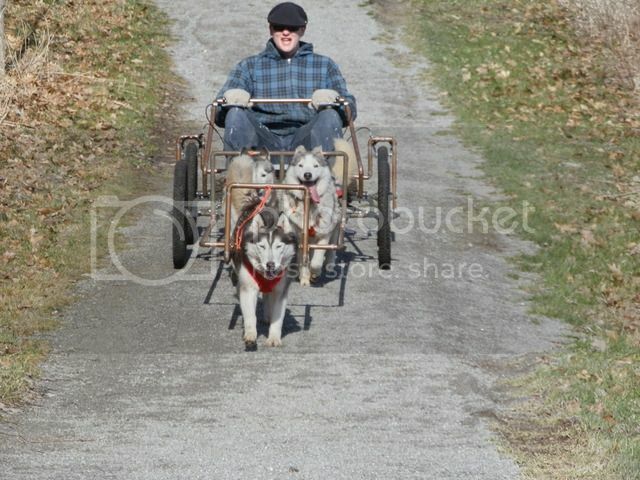 The harness that you are talking about sounds like the toboggan harness that many use with single dogs pulling toboggans or ice fishing sleighs. Am I correct? If I find an issue I will switch to a x-back style freight with a spreader bar which is basically the same . As for scary, not at all. 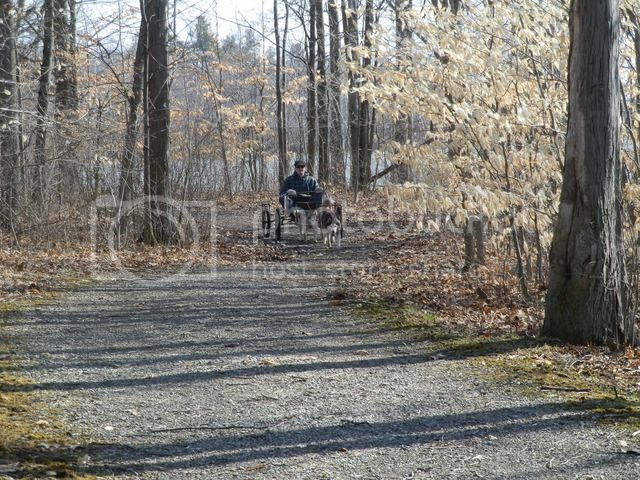 It is a very stable cart, with brakes, and full steering. Much more stable than a sled on most days However, yes helmets are worn to be on the safe side. What style of kick sled are you running? I have the wood for a new one that I am planning to build as soon as the weather turns. Thanks for your thoughts and input. The tube shafts are so my son can train not only the leader but the two wheel dogs to command. These dogs have pulled before but were never trained. 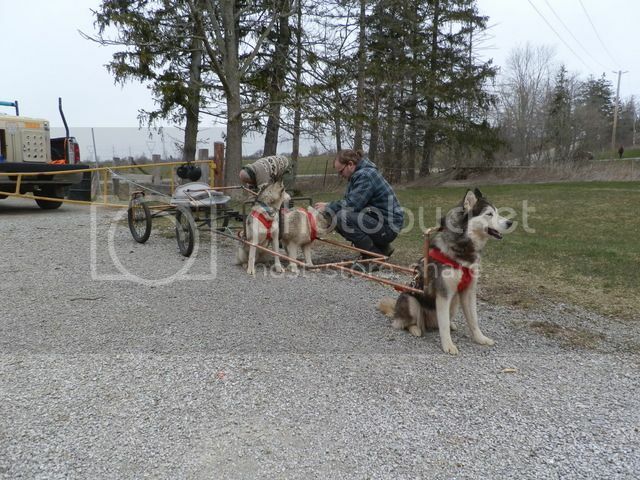 I also set it up this way as it is his first dogs, he has ran on snow a couple of times both sledding and ski jorring but he has as much to learn and more than the dogs do. I use to use this set up for two dogs when I was training my leaders, and it worked very well. As the dogs learn to gee , gee over, onby, haw, haw over....we both know they never really learn whoa ...... then I will bring them back to traditional ganglines. 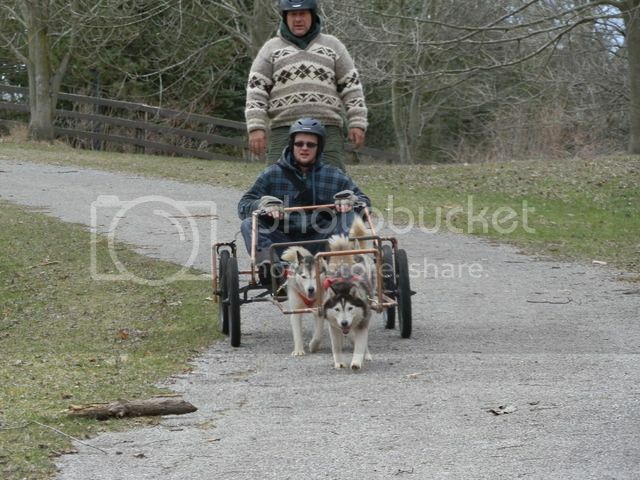 Our sled was made by Undersky here on the forum. It uses aluminum tube with recycled skis as runners. It is very light but unfortunately doesn't fold up so is a pain to transport. I didn't get to use it much this year. 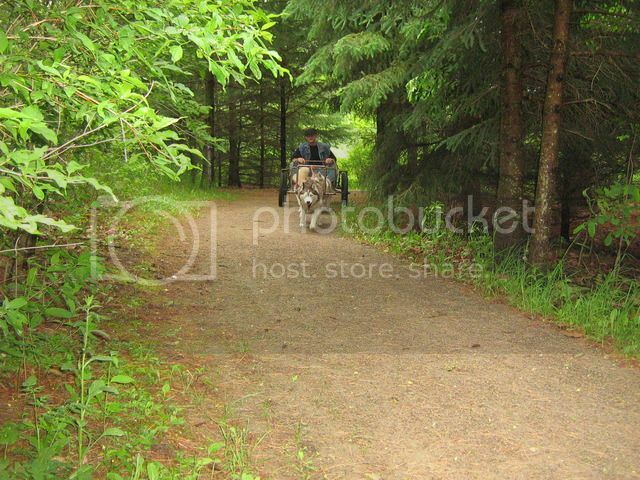 The trails where we used to go keep getting torn up by ATVs so we need to find another place close to home. My uncle used to say (and mean it, as I do here) 'that looks just like a mess of fun right there...!" Cool, thanks for sharing that whole process and the added dimensons that will come in the winter for all of you as the snows return. Neat~! We were out for a run yesterday before it got to warm. Everything worked great, the set up is doing exactly what it was designed to do in the training with multiple trails and intersections to run through and turns to practice on. 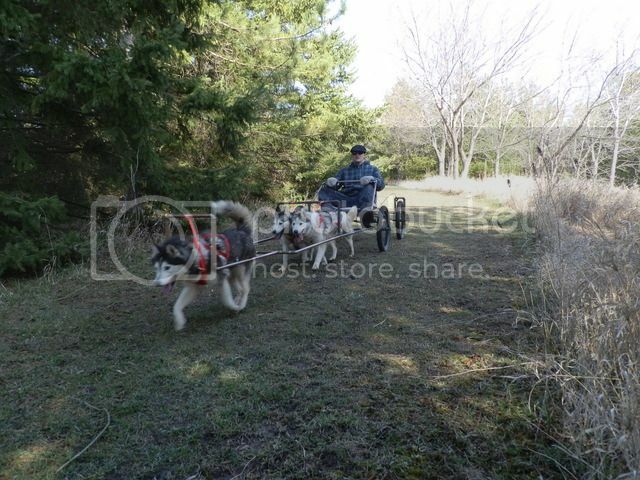 Bothwell Voyageur, I watched the harnesses and there is no more down pressure than on the sled, however I like your idea of going to freight harnesses so I am going to buy the webbing and polar fleece today, to make them up this week. Thanks for the input. 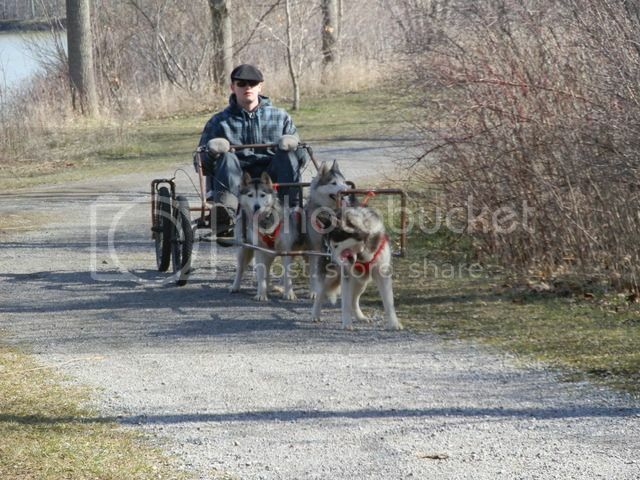 Some pictures of the run with my eldest on the cart. The dogs did 3 miles and came in in fine shape. That looks like a great rig Dan. Nice and light with the copper tubing. 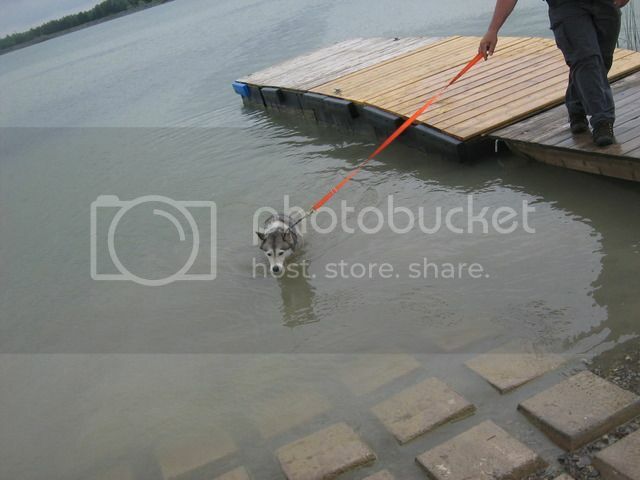 I imagine that the dogs can drag the rig around even with the brakes on and someone on board. As you said, you can never really teach whoa! We used to hitch 16 dogs on to a stripped down Lada and we had to park it sideways at startup or they would drag it away with the brakes locked up. It looks like everyone's having a lot of fun, which is the most important thing with training. You're lucky to have the multiple trails with intersections to train on. 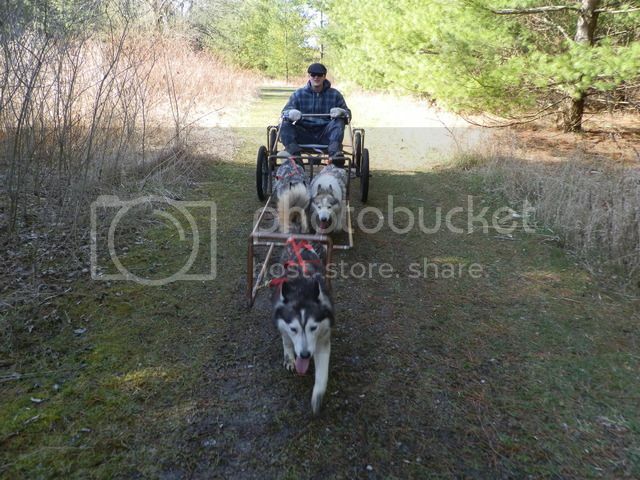 Man, that looks like a whole mess of fun for both driver and dogs! And then the deserved cool down at the end... good stuff!